New Members (of all shapes, sizes and ages!) are ALWAYS welcome with DBC! 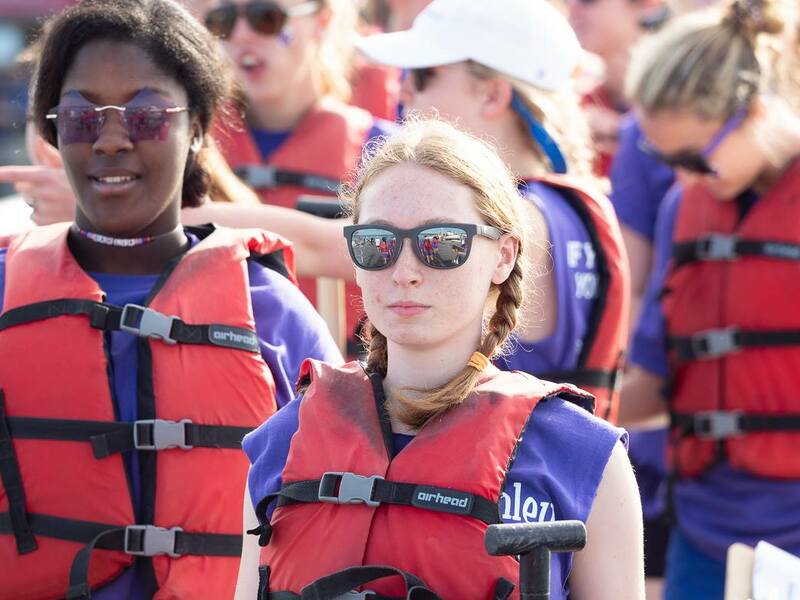 Check out these fun ways to get involved and join us on the water! For all cancer survivors, registration is free. It's $125 per year for Community Paddlers (individuals without a diagnosis of cancer). Please mail a check to Dragon Boat Charleston at 1643 Savannah Hwy Box 261, Charleston SC 29407. Once you're registered, Click Here to View the Practice Schedule. We currently paddle on Saturday mornings at 9:00am. We paddle five times per week from March-October. Click Here to Sign Our Waiver. The Eye of the Dragon team is made up of newly recruited cancer survivors who go through a 10-week orientation and training program that culminates in their participation at our Annual Dragon Boat Festival. The Outreach Program results in many of our members staying part of the DBC Family for a lifetime. The 2019 Program will run from March 20th to May 8th on Wednesdays at 6:30PM. This is FREE and offered ONLY for cancer patients and survivors. Those interested in participating must register and sign-up by e-mailing Gail Stamm. In partnership with Berkeley County School District, DBC celebrates students who have overcome great challenges to become well-respected students by their teachers and other students. DBC attends the annual awards luncheon to meet the students and hear their stories as they receive their awards. 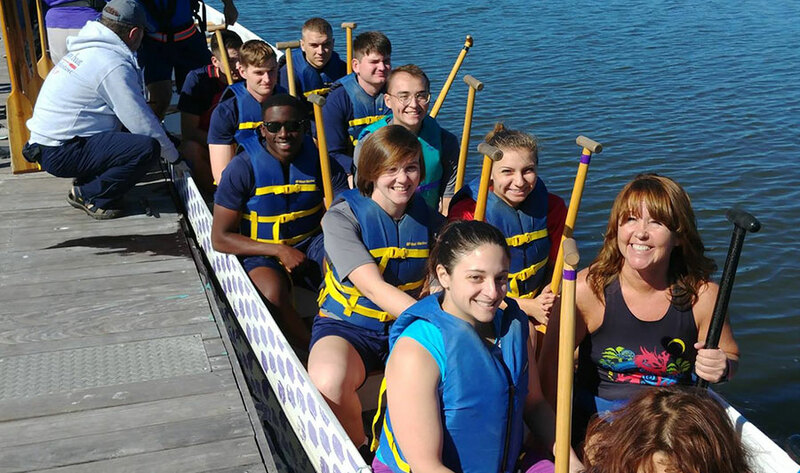 Then, DBC invites all of the honored students to participate in a special paddling event at our location in Brittlebank Park. In the same way that they had to learn to overcome their challenges in life, they are reminded at the Turn Around paddle that with DBC, as in life, it is important to find a place where you are never alone. 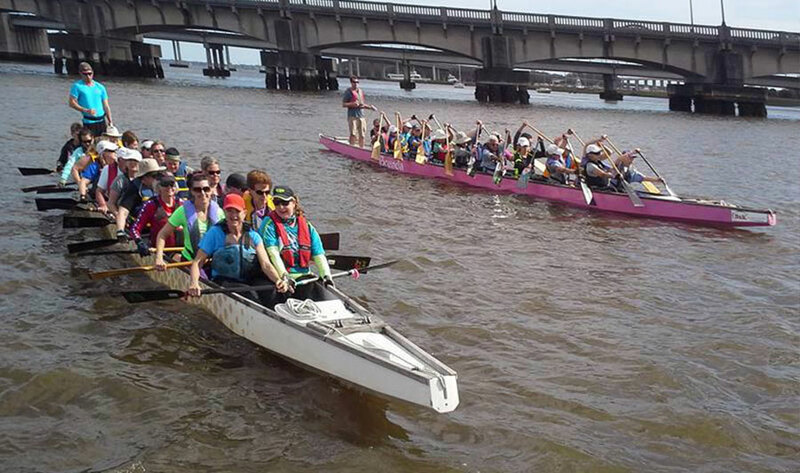 Getting involved with Dragon Boat Charleston is not only good for your health and fitness, but it is fun! To help get everyone started, we host a Novice Program twice a year. The Novice Program is a great way to offer instruction and coaching to our new members while allowing the new members a chance to get to know one another! 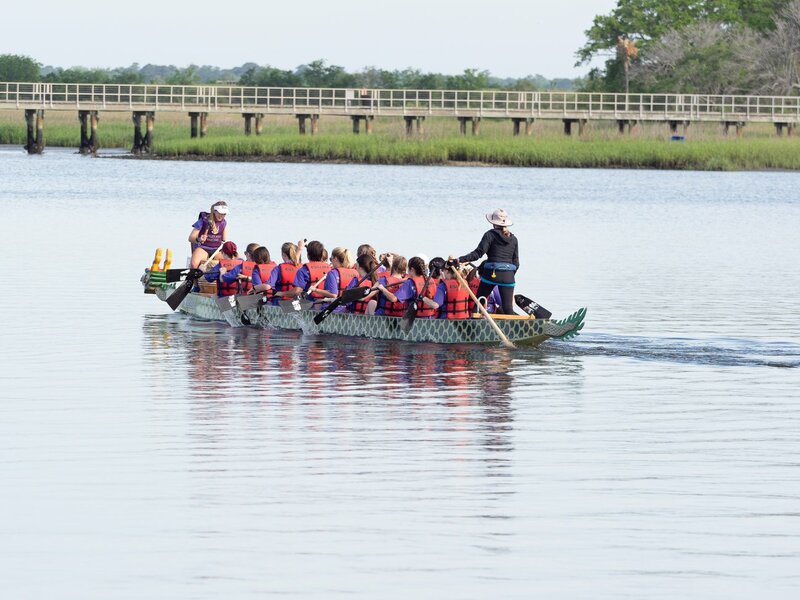 People join Dragon Boat Charleston to improve or maintain their physical and mental health. With a Club of more than 100 paddlers, people vary in the amount of time spent being involved. Also, we have many people who practice several times a week yet never wish to participate in a race. ACS = All Cancer Survivor – the Awakened Dragons are made up of people who have had any type of cancer. They compete against other “All Cancer” teams. 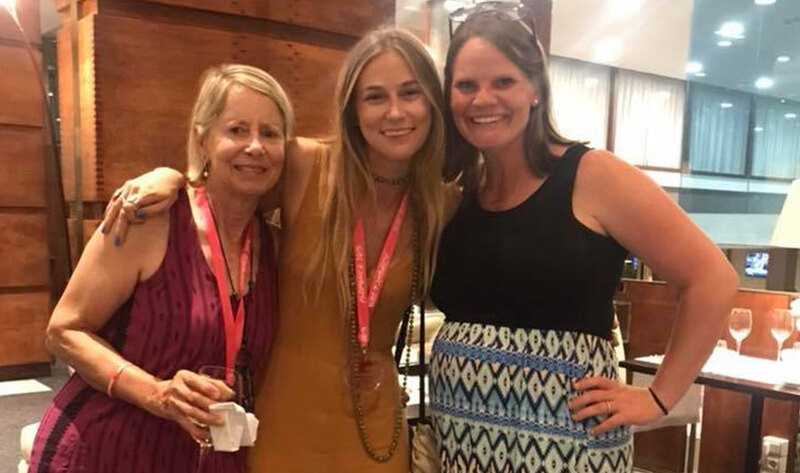 BCS = Breast Cancer Survivor – The Paddles and Pearls team is made up of breast cancer survivors. 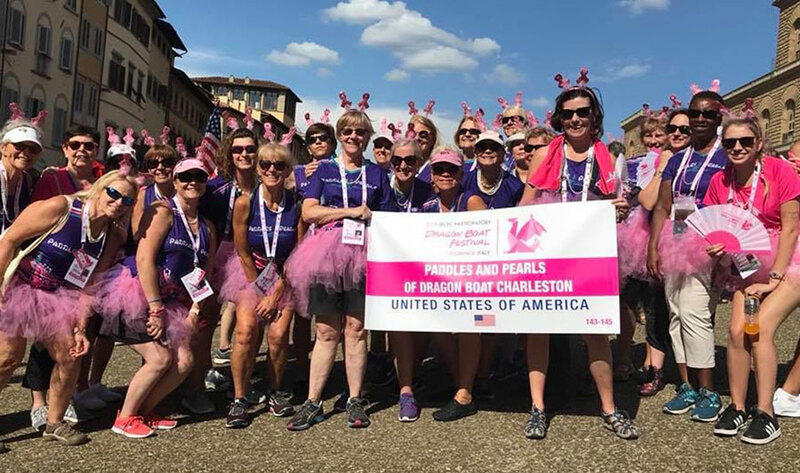 This is the most popular type of team since Dragon Boating was actually founded many years ago by a Canadian doctor who realized that the motions associated with the sport help breast cancer survivors heal more quickly. Senior Women’s – The Holy City Silver Dragons team is made up of women who are over the age of 50. The people on the team are community paddlers and cancer survivors. Men’s – The Charleston Thunder team is made up of all men, of all ages. These members are survivors and community paddlers. 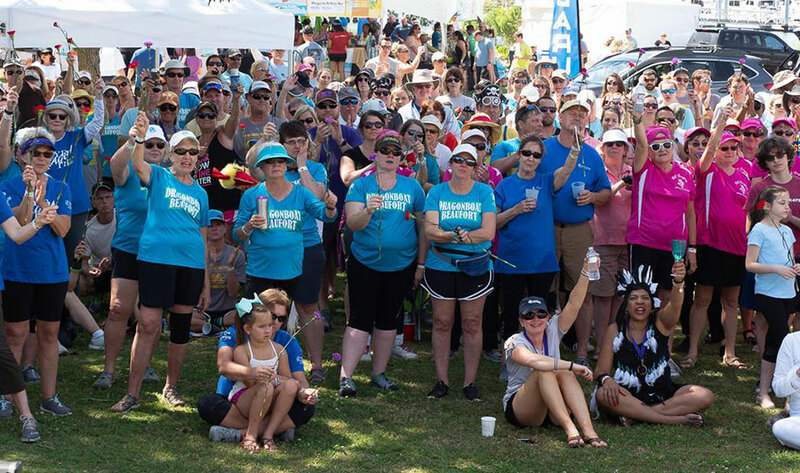 Outreach – The Eye of the Dragon team is made up of newly recruited cancer survivors who go through a 10-week orientation and training program that culminates in their participation at our Annual Dragon Boat Festival. Depending on the races that we enter, other DBC Mixed teams can be created. Typically, people like being associated with a team if they decide that they want to participate in races, but it is not the only way to be part of DBC. 1How much is it to join DBC? Membership is free for all cancer survivors. Cancer survivors also participate in our fitness and nutrition programs free of charge. All race fees are paid for by DBC and some of your race travel. For community paddlers (those without a diagnosis of cancer) membership is $125 per year. You receive a discount on all fitness programs and some travel. All race fees are included in your membership fee. There may be other costs throughout the year, such as race shirts every few years, your hotel for a race, spring camp, etc. 2How do I get involved? Email monica@dragonboatcharleston.org. If are you are new to the sport, the best way to start is to try out the 6-Week Novice Program at 6:00PM on Wednesdays. The next Novice Program: Wednesdays August 8th-September 12th 6-7PM. MUST register in advance - E-mail Monica to sign-up! Wear clothes that you don't mind getting wet. Wear sunscreen, sunglasses, closed-toed shoes, and a hat. Bring water. DBC will provide a paddle and life jacket. 4When can I go to a race? You can go to a race as soon as you feel ready and have talked it over with a coach. DBC goes to about 4-5 races per year. Take a look at our practice schedule. 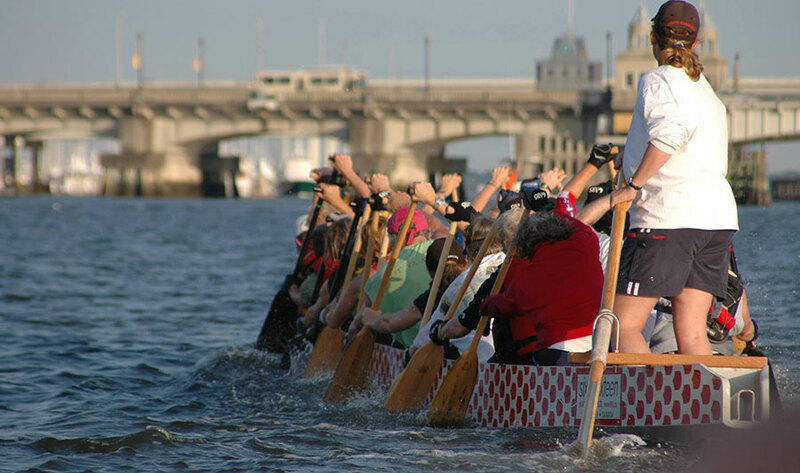 The majority of DBC's budget is raised through the Charleston Dragon Boat Festival held in May each year. Support also comes in the form of individual donations, other special events and grants. 7DBC has how many members? 8What are all of these acronyms? 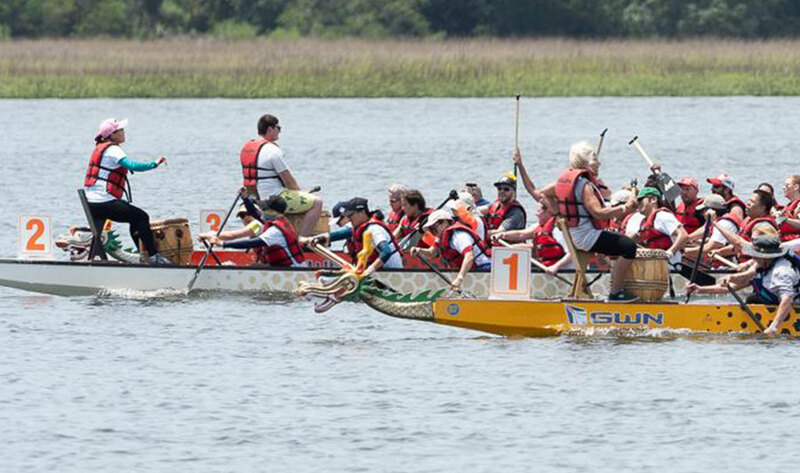 9What is the Charleston Dragon Boat Festival? DBC holds an annual dragon boat festival fundraiser in the community. 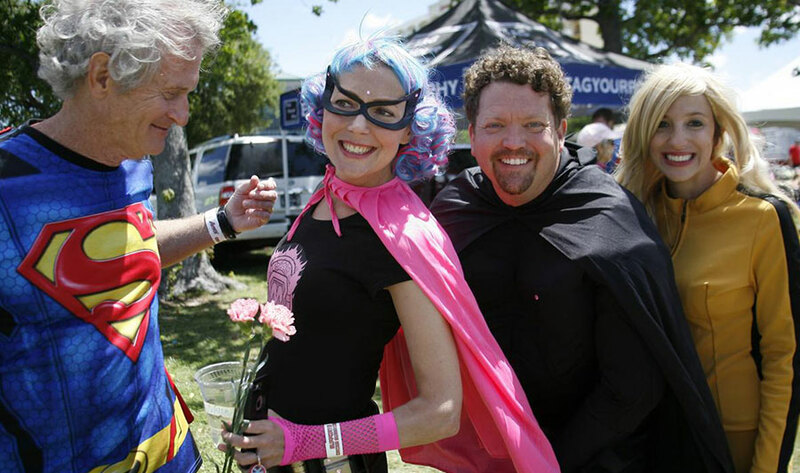 The event raises money for the cancer survivor programs of Dragon Boat Charleston. Typically, DBC members volunteer for the festival while over 60 community novice teams race.